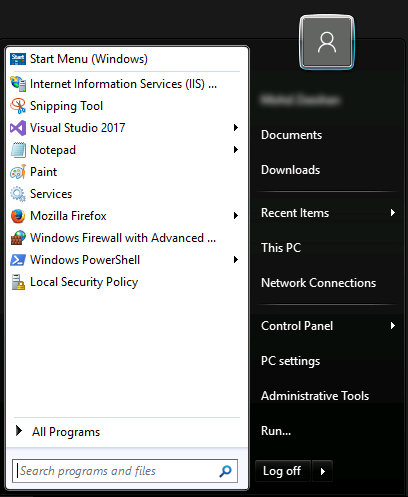 I have installed the Classic Shell on Windows Server 2016 (x64) (due to its pathetically slow and unproductive start menu) and found that when I select "Small Icons" under Skin Tab in settings window, the buttons on the right hand column also reduce their height. I believe this setting should only reduce the height of items on the left hand column. This behavior is different from what is advertised on the website. This is the first time I'm using Classic Shell so I don't know if this is the default behavior. Or am I missing some setting ? The idea is that you would select small icons for smaller screens. You want to fit more items in both columns. 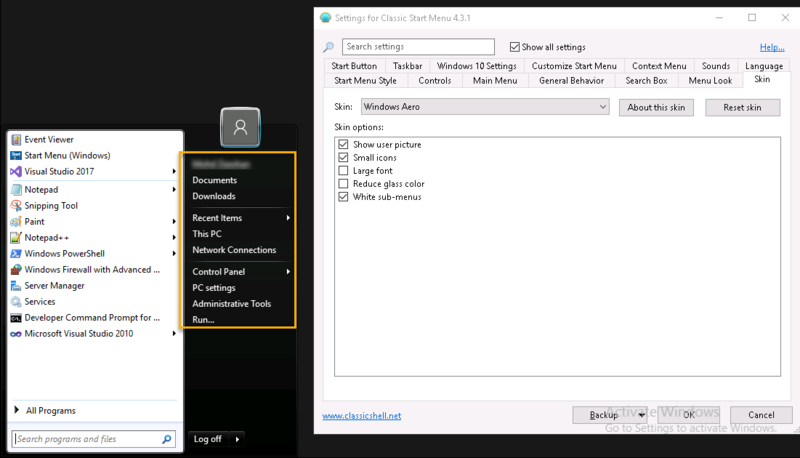 The screenshot from the website shows the programs tree, which always uses small icons regardless of the skin settings. If you want smaller icons without changing anything else, simply reduce the size of the large icons in the Menu Look tab. My concern is not with the items on the left hand side, but those on the right hand side. The height of items is reduced on the right hand side of menu which should not be the case irrespective of what icon size on the left is. I posted two pictures so we can see the the difference in the right hand menu items. Sure, but that's the design of the skin. 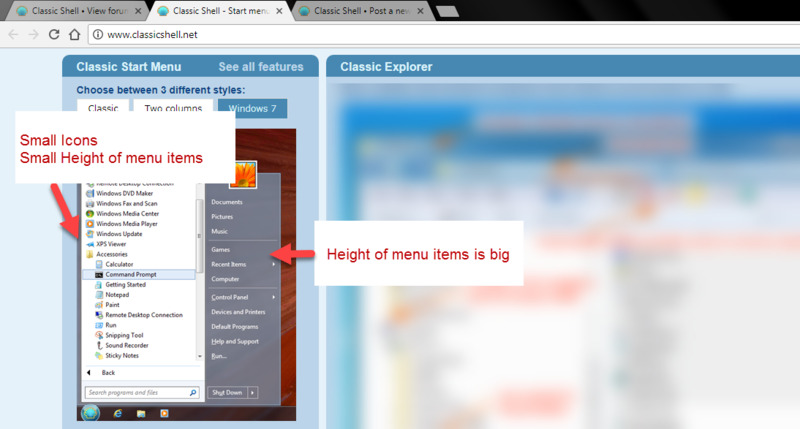 It reduces the height of the right hand side when small icons are selected so you can fit more items. You have two options - edit the skin to not do that, or keep using the "large icons" mode but reduce the size of the large icons to 16x16. Both options will do what you ask. I have edited the skin by using resource hacker. Attaching the Skin, in case someone else needs it. It looks like this now !